At the outset, let me congratulate the newly elected President of this session, Mrs. María Fernanda Espinosa Garcés,and assure of my Government’s unwavering support to her mission. I would like also to pay tribute to the memory of the recently deceased former UN Secretary-General, Mr. Kofi Annan, who, with his charismatic and measured approach,redefined the United Nations and actively championed the ideals which characterized his ethos: peace–making and peace-keeping, international co-operation and sustainable development. Also, in honouring the centenary of the birth of the great statesman and world leader, Nelson Mandela, we express our great admiration and gratitude for his active promotion of the noble values of peace, justice and equality. 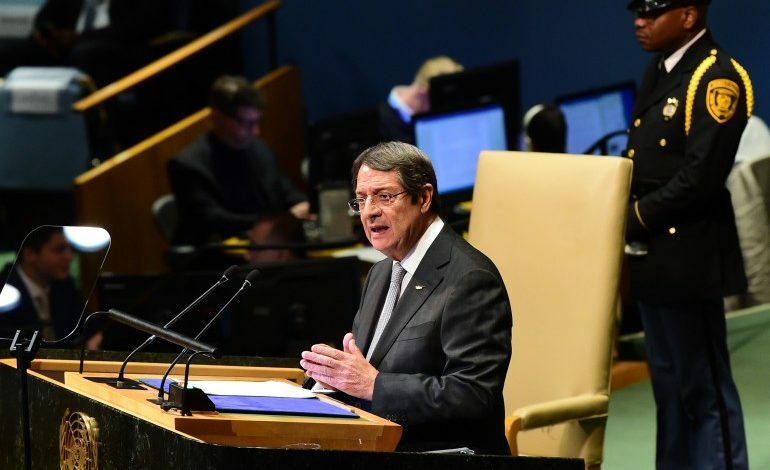 Cyprus fully endorses the theme chosen for this year’s session of the General Assembly: «Global leadership and shared responsibilities for peaceful, equitable and sustainable societies». And we fully subscribe to it, as, of course, the majority of UN members, since the theme itself in its essence reminds us of the founding principles of the UN on which millions of people and many countries vested their hopes for a better future. An Organisation which emerged from the ashes of war for the purpose of maintaining international peace and security, underpinning the respect and promotion of human rights and fundamental freedoms for all, irrespective of gender, racial or ethnic origin, religion or belief. This order is based on multilateralism, collective action and international co-operation among states having sovereign equality. How is it then that we come back again and again, year after year, as a kind of ritual, to attest to the dismallack of effectiveness for some and the embellishment attempt for others, for what is in fact our inability to fulfil the aims of the UN Charter? Why do the decisions of the Security Council remain in their overwhelming majority sheer certificates attesting violations? Why is international law and international agreements not implemented? Why dostrategies and programmes aiming at creating better conditions for people that are suffering, remain wishful thinking? When will we finally really take our destiny into our own hands, fully assuming our responsibilities towards our peoples and towards humanity as a whole? As a leader of a small country, which suffers for more than 44 (fourty-four) years by the blatant violations of International law, let me repeat the well-known causes which explain all these unacceptable and disappointing results, registered both at the regional and global level. I would daremention sad realities candidly, but honestly, in order for States and International Organisations to consider readjusting their policies and actions with a view of upholding real hope for a better future. (v) While more than 20 (twenty) million people in north-eastern Nigeria, South Sudan, Yemen and Somalia face famine and are in need of urgent assistance, whereas more than 820 (eight-hundred)million people, including 155 (one hundred and fifty-five) million children suffer from chronic malnutrition, there are countries in which immense quantities of animal and plant products are destroyed for the sake of narrow and blind economic and commercial considerations. (vi) While child mortality andlife – threatening diseases persevere and health services provided are below acceptable levels, we continue to face inflexible policies and practices, emasculating competent authorities from providing the necessary medical care. (vii) Instead of facing the root causes leading to massive migratory flows of millions of people, we contend ourselves in setting up immigration detention centres. (viii) While we adopt the Paris Agreement to address the global challenge of climate change, specific interests hinder either the design or the implementation of domestic policies which would deliver on our pledge and commitments. Despite diverging aspirations or conflicting interests,we should rise to meet our shared responsibility,reverse our policies of the political expediencies which I have referred to,adopt a more proactive, targeted and results-oriented approach and address the root causes that have led to this unprecedented situation. We should intensify our efforts towards making sustainable development finally a reality for all countries and regions in need, through establishing the necessary political and socio-economic conditions which would lead to stability, economic growth and institution building. At the same time, we should also efficiently confront the threats posed by ongoing conflicts in order to achieve lasting and viable political solutions that will promote regional peace, security and predictability and save future generations from the plague of asymmetric threats. Collective leadership and the primacy of multilateralismis the only way forward to effectively eliminate threats to peace and security. Therefore, we need to strengthen our support and commitment to the UN and safeguard the effective implementation of its decisions, as well as its actions, on the basis of justice and international law, which constitute the core and essence of this Organization. It is in this context that we lend our unwavering support to the ambitious vision of the Secretary General, Mr. António Guterres, to reform the Organization, in a manner that corresponds to the needs of its member states and meets the expectations of our peoples. With regard to the reform of the Development pillar, we reiterate our full commitment to strengthening the capacity of the United Nations to become more effective and transparent,in pursuance of the implementation of the 2030 Agenda for Sustainable Development. 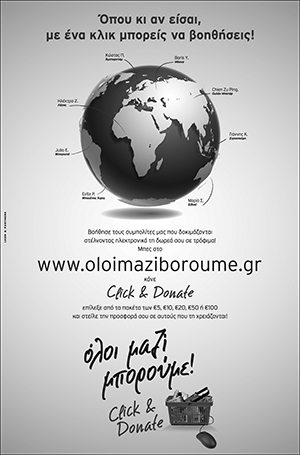 An agenda which forms an integral part of our efforts to help all people live in dignity. In parallel, further action needs to be undertaken to address the vulnerability of states to climate change, in particular small island states, while we also need to put more emphasis and accelerate efforts to implement the Sustainable Development Goals. Bearing in mind the ongoing unstable situation and conflicts in Syria, Iraq, Yemen, Libya, Nigeria, Myanmar, Afghanistan, the Sahel, the long-standing Israeli – Palestinian conflict and, of course, the still unresolved problem of the forcible division of my country, we should attach particular importance to the peace and security pillar reform. We fully concur with the notion of the primacy of diplomacy in peace-making and conflict-resolutionand the supportive, yet catalytic, role of peace-keeping operations therein. We ought to admit, however, that the former is jeopardized without the latter and that in the absence of a negotiating process, the need for peace-keeping becomes much greater and indispensable. The situation in my country offers a meaningful example in this regard. Therefore, while we remain deeply committed to adopting necessary reforms in this pillar, we strongly believe that each peace-keeping operation should be evaluated on its own merit, based on actual needs and threats on the ground. The risks involved are far too grave to allow for any experimentations in this regard. My country, albeit being a member of the European Union, is however located at the epicenter of an area of extreme volatility and instability. Our quest is based in our vision and ambition to be a beacon of stability, predictability and creating synergies in promoting shared prosperity and stability for all. To this end, and being accepted by all as an honest broker with no hidden agenda, we have reinforced our historic close ties with the countries of our immediate region and, alongside Greece, we have established trilateral partnerships with neighboring countries, including Egypt, Israel, Lebanon, Jordan and Palestine. These trilateral mechanisms constitute a fittingexample of what can be achieved when countries with shared concerns and common interests join powers, instead of isolating themselves. In short, these trilateral partnerships are a practical expression of effective multilateralism, fully in line with the theme of the UN: «Shared responsibilities for peaceful, equitable and sustainable societies». As such, they are neither exclusive, nor directed against any third country. On the contrary, they institutionalize co-operation and dialogue in our region, particularly in areas in which there are comparative advantages, as for example, in the field of energy. In this regard, we warmly welcome the expansion of these trilateral formats to include additional partners in specific fields of mutually beneficial collaborations. When talking about the importance of achieving peace and stability in our immediate neighborhood and the means through which it can be accomplished, I feel obliged to stress the significance and the consequent multiple benefits that would arise by reaching a comprehensive solution of the Cyprus problem. First and foremost, a viable and lasting settlement would be to the best interest of the people of Cyprus, Greek and Turkish Cypriots, and their aspiration to live in a normal and prosperous European country, fully independent and free from any foreign dependencies. At the same time, I remain convinced that the solution of the Cyprus problem will undoubtedly have a very important collateral influence on achieving and maintaining a much-needed environment of stability and peace in the region. Last, but not least, the solution of an international problem which has been on the agenda of the United Nations in the last decades, will offer a beacon of hope that even the most intractable problems can be solved peacefully through the United Nations. Unfortunately, as the peace process remains at an impasse since the Conference on Cyprus of July 2017, I am deeply concerned about the lapse of time and its consequences. Let me be clear: Only a viable and functional solution, in line with our EU membership and the best practices of democratic countries of the UN, can establish the conditions for achieving lasting peace, allowing my country to fully take its stride and for all Cypriots to live in a normal state and work together for the prosperity and security of all. As I have repeatedly stated: I remain strongly and truly committed to achieve a solution on the basis of the relevant UN resolutionsand the European Union acquis, continuing the negotiations on the six-point framework that the UN Secretary – General has set as the basis for the way forward. The UN Secretary – General and His Good Offices Mission is the only way forward. We expect Turkey, which has a key role in the efforts to reach a settlement, to rise to the occasion and demonstrate the necessary political determinationto reach a settlement and concretely contribute to regional stability. On our own behalf, I wish once more to repeat that we are determined to rise to the challenge of our historic responsibility and do our utmost so as to provide a peaceful future for all Cypriots and the region. In a fragmented and multipolar world, we have more than ever the moral, ethical and political duty to promote the essence of human civilization, unite our strength to maintain international peace and security and establish the conditions which would bring prosperity and welfare for all. This is exactly the theme of this year’s session and I do hope that by next year we would be in a position to proud ourselves that significant steps towards materializing this vision have been taken.